There are close to half a million professionals in Canada’s tech industry, which comprises seven per cent of the national economy. At any given time, there are thousands of technology job vacancies across Canada. On average, it takes employers only 44 days to fill a position — no surprise given the amount of talent out there. Competition per open position depends on where you live: in Toronto, an average of 16 people will apply for each gig, while in Edmonton you’ll be one of 25 applicants. Competition is healthy, but not brutal. And your prospects of finding a high-paying job haven’t looked this good in years. The unemployment rate in Canada was 6.3 per cent in October 2017. This rate hasn’t been so consistently low since before the financial crisis of the late 2000s and early 2010s. There are roughly 1.2 million people in Canada looking for work, but the number of people seeking employment in IT is considerably lower. And there are plenty of jobs being created in Canadian IT these days — 11,500 new IT jobs in 2017 alone. Despite the activity, getting a new dev job is not going to be a walk in the park. Until an employer gets to know you, you’re just one in a crowd of people. Throw in the fact that so many companies today insist on making you apply through an automated system – one that can sap your energy and make you feel like a number – and a tough job becomes even tougher. As steep as the hill to employment might seem, you can go from “applicant” to “highly desirable candidate” by doing a few things many, even in a competitive industry, are unwilling to do. Hard truth: most people’s resumes are bad. Some are very bad. Funny thing is, even people who have years of experience looking for jobs will try to tell you that all you need to do is download a snazzy template, drop in your words, and boom, the calls will come in. This is simply not the case. You’ll need more than a few splashes of colour to move to the top of the applicant heap. Show an evolution – Build your resume as a “story,” casting yourself as someone who’s on a journey. Try to make logical connections from one job to the next, so hiring managers don’t have to guess as to why you have taken previous jobs, and why you’re applying for the job they’re offering. Will a hiring manager think you’re methodical, that you’re trying to get full-stack experience, or will he or she suspect you’re someone who just applies to any job that fits your skillset? The gulf between thoughtful professionals and do-anything jobbers is huge, so be aware of how your resume makes you appear. Tailor it – Do yourself a favour and don’t follow the all-too-common practice among job seekers of blanket-applying for jobs with a set resume and cover letter. It might take you a bit longer, but when you tailor your resume to each and every gig you’re applying for, you’re increasing your odds greatly of stirring up interest. An easy but effective way to tailor your resume is to make a special effort to match up your experiences with specific skills and experiences mentioned in the job listing. As an example: if a job listing mentions Microsoft .net, make every single one of your experiences with .net prominent on your resume, removing other less relevant experiences from your professional narrative. Substance over style – A nice template is better than an ugly one, of course, but as a technical professional, you’re expected to wow people with your dev skills and experience, not your ability to prettify documents. Any good hiring manager will easily see through your attempt to boost yourself with an eye-popping resume. You have but one goal: to stand out from other applicants. Be clear about what you know and what you’ve done. Discuss your use of the latest programming framework, including a script you authored to overcome an interesting or difficult problem. Think problem/solution and the person tasked with sifting through resumes will see you as a problem solver. Use links sparingly, if at all – Some like to include links to samples of work and to other places where the employer can get more information. But beware — resumes with links that are submitted through an online application system may get flagged as spam and kicked directly to the trash bin. As a rule of thumb, keep two versions of your resume on hand: one with hyperlinks and another with typed out web addresses (if you must include any). 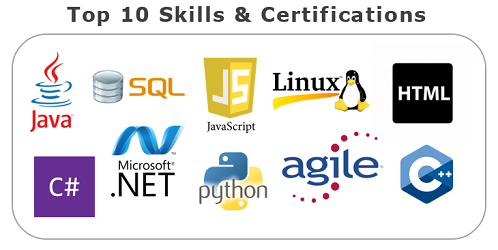 Quick tip: Strong backend development (.net and Java) remains popular. Front-end modern technologies are incredibly hot at the moment. Mean stack is more popular than ever, and will continue to be. Sending your application to a hiring manager or agency is only your first step toward a new gig. Going beyond the send is where the real action takes place. This requires you to great creative and do a little legwork. Track down (if possible) the name and contact details of the person who is doing the actual hiring. Send your resume directly to that individual, and also (again, if possible) to the person or people to whom you’d be reporting were you to get the job. As for the actual email, use your tight, typo-free cover letter as the basis of your message. Finally, attach your resume and then click Send. That’s it. Congratulations … you’ve gone beyond the send. You have competition, we get that. 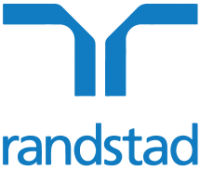 We’re Randstad and we can help you stand out. Visit us online and let’s get started.